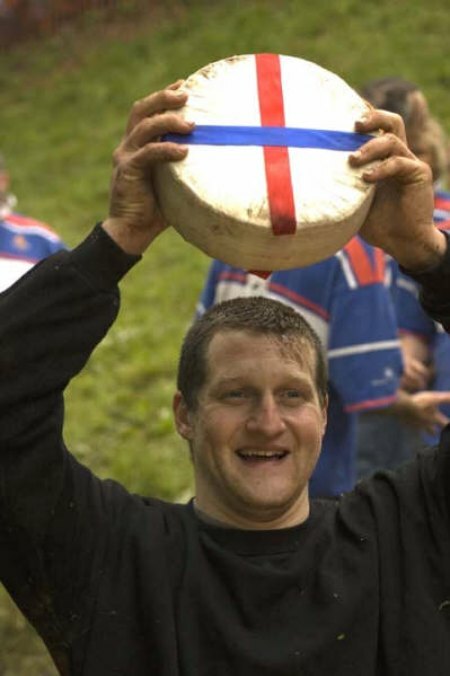 The annual cheese-rolling event in Gloucestershire has been postponed because of fears that the number of spectators it attracts could become a safety concern. 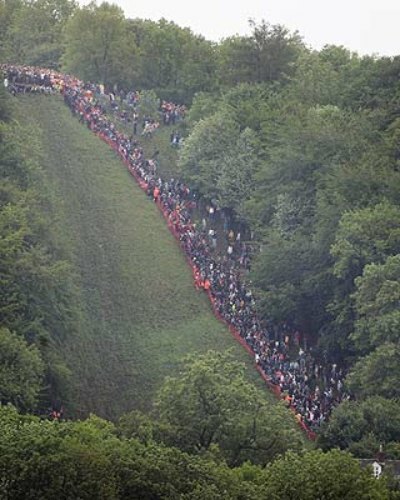 Organisers of the traditional event, held at Cooper’s Hill near Brockworth, said that the 15,000 spectators in 2009 exceeded the site’s capacity by three times.  The event has public-liability insurance cover for 5,000 people, and the insurance company would need to be informed if that number is exceeded. In addition, the roads were too congested for emergency-service vehicles to get to the site in the event of an accident. Mr Jefferies said that organisers also needed to respect the concerns of local people, who had had damaged property by people climbing over fences. 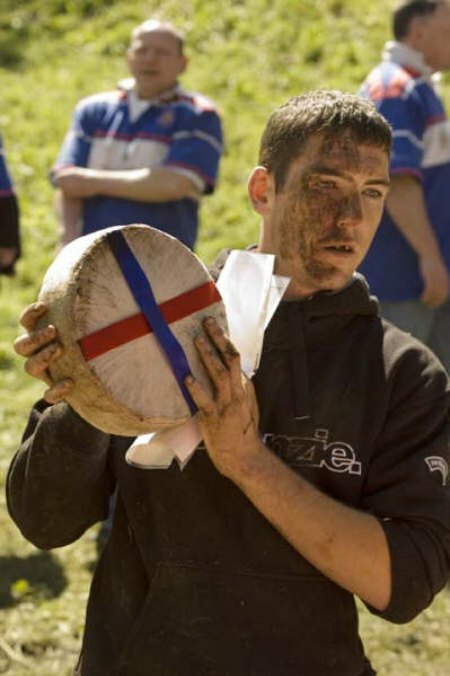 The competition dates back hundreds of years, involving participants chasing 7lb Double Gloucester cheeses down a hill in a series of races. 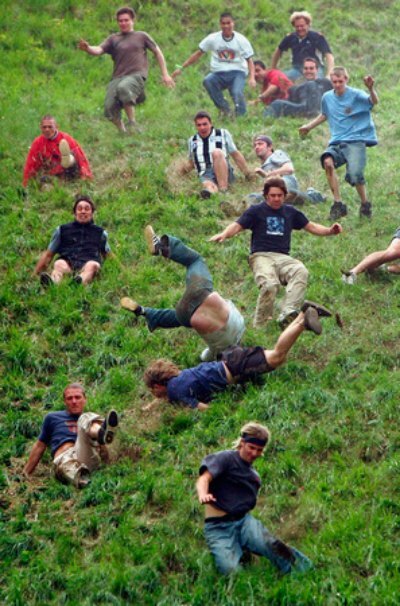 Diana Smart, 83, who makes the cheeses on her farm at Birdwood in the Forest of Dean, commented: ‘I’m shaking at the prospect of not having any cheese-rolling. 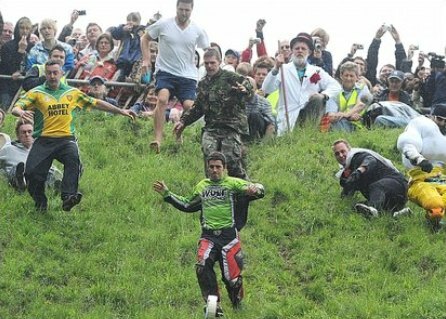 Inspector Stephen Norris of Gloucestershire Constabulary said: ‘A vote was held by the Cooper’s Hill Cheese Rolling Committee on whether the 2010 event should go ahead. Their decision was to postpone it.